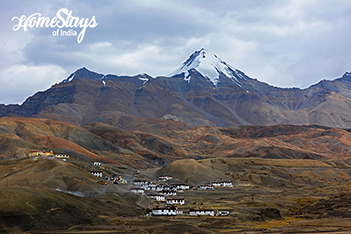 Situated on 4420m, 16 km North of Kaza, this picturesque village is blessed with green pastures, snow-clad mountains and barren landscapes. 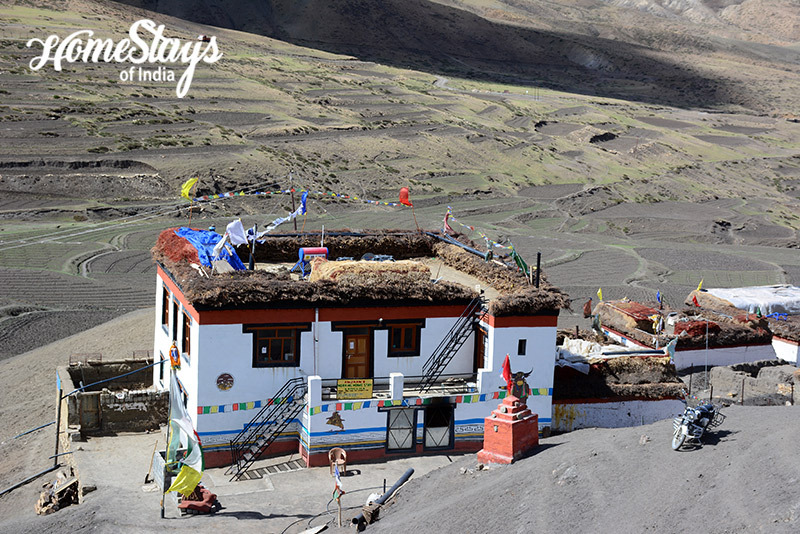 It is certainly the most stunning village in the whole Spiti Valley. 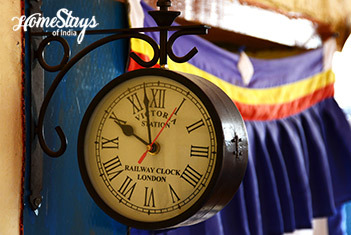 The main occupation of the villagers in the olden days was mud craft hence it derives its name Langza (Lang means ‘Temple’ and Za means ‘Pot’). Vessels of all shapes and sizes still can be seen in every home. A visit to Langza is not complete without hunting for million years old fossils. You may find some kids selling them also. Langza being located at a high altitude, one can spot many endangered species such as snow leopards, Tibetan wolf, Himalayan griffon, etc. around the village during winter. 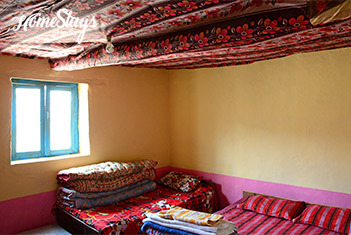 It’s a traditional Spitian home, converted into a homestay in 2014 with total 4 rooms for guests; 1 single room, 1 double and 2 triple sharing rooms. 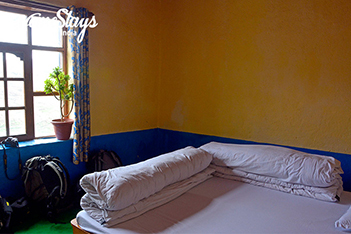 Also has a kitchen and dining hall which eventually has become a meeting place of all guests staying in Langza. 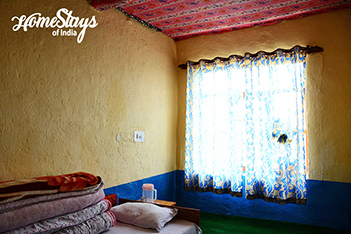 One room is specially made for winter attached with a poly house. The home runs on solar power, so electricity is available 24 hr. Anjaan is a very experienced trekking guide and a qualified mountaineer by profession. 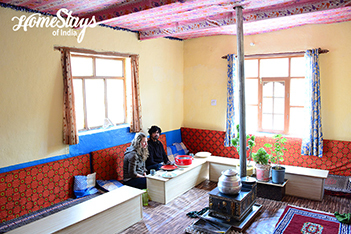 He has a deep knowledge about the wildlife of Spiti and he also is a keen bird watcher. He takes care of the kitchen with his wife. Since Langza is a very remote place, you mostly get local food. Anjaan will serve you Spitian Bread with jam and butter. Omelet and boiled egg can also be added. He makes a special fried Spitian bread. You may like it with half boiled egg. Tsampa (Barley floor) Cake with honey is something you must try. Tsampa Porridge is also a good option. Parantha with curd or tea is all time favorite in breakfast. Dinner can be Skew (Fried potatoes and Dumpling), Thantuk (Flat noodles mixed with vegetables). Dal, roti, rice and mix veg is commonly available in dinner.